iPhone users always have been in search to find a perfect tool for them, especially a complete tool to transfer iPhone data to computer. Though iTunes and iCloud also offering some basic features, but those are enough only to transfer some specific data like your contacts, media or photos. But still, a search is active about perfect and complete software, which can support with maximum features. In this search, people approach to many data transfer software. But many get tired because of fake software, providing fewer features and more ads. Here we are introducing top 5 software to transfer iPhone data to computer. However, one of these will be the top first. iMyFone D-Port is a data exporter and extractor software. Once it is installed on your computer, it can access your iOS Device data and transfer files onto computer without affecting the existing data on device. 1. 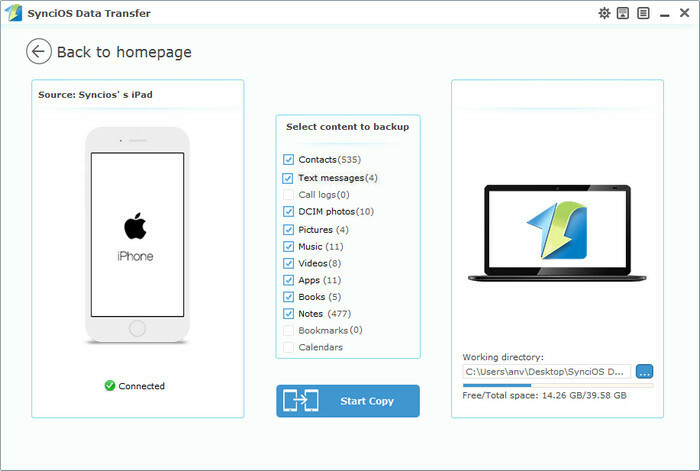 Transfer/extract more than 20 types of files from iOS devices/iTunes backup/iCloud backup. 2. Easily export data from all iOS devices and different iOS versions. 3. Get the preview of each item before transferring to choose exactly what you need. 4. Check the iTunes and iCloud backup first before exporting. It can transfer 3rd-party IM apps’ data, such as WhatsApp, WeChat, Kik, Viber and more. It helps extract data from iTunes/iCloud backup without restoring. It can be installed on Windows and Mac computer. You can get a trial version for your satisfactions. It has limited access in free trial version. 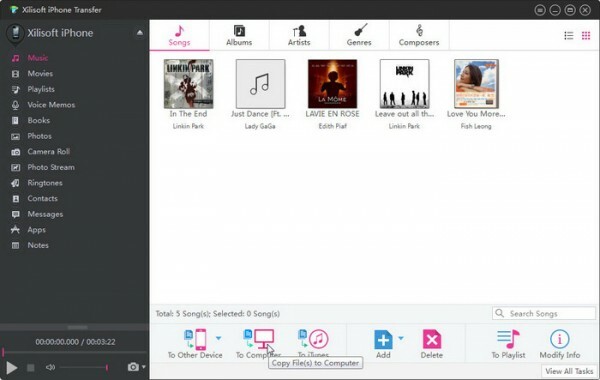 Wondershare TunesGo is one of the top ranking software. It offers to transfer data from iDevice to computer anytime. It is available on its official website. 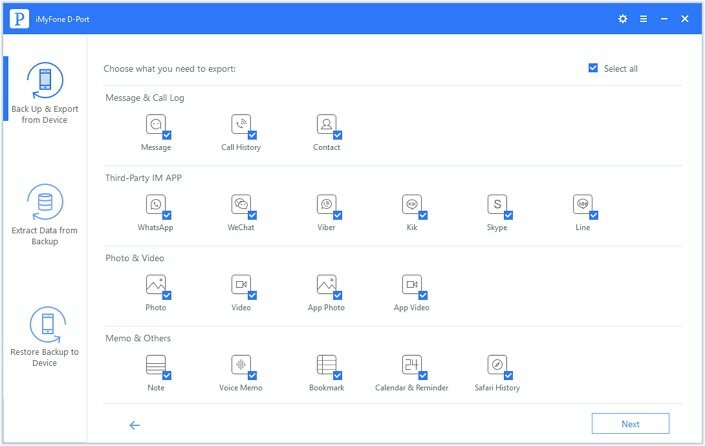 Here are some important features in Wondershare TunesGo. 1. Easily convert files to available format in the computer while transferring the data. 2. Manage and make changes in contacts, messages, images and another file in software. 3. Directly transfer files from iPhone to other devices. 4. Connect several iOS devices to the computer by one program. You can transfer images and music files with a rating for top interested to low. It can merge your duplicate objects in one and without any data loss risk. The computer should have connected with the internet to install the software. It has very limited access to features in the trial version. SynciOS is quite good alternative software to transfer and extract files. It supports to almost all types of files. It offers some trusted features to provide good data handling software for iPhone, iPod or iPad. As per the all available software, you need to connect your iDevice by Data Cable. Here are the key features of SynciOS. 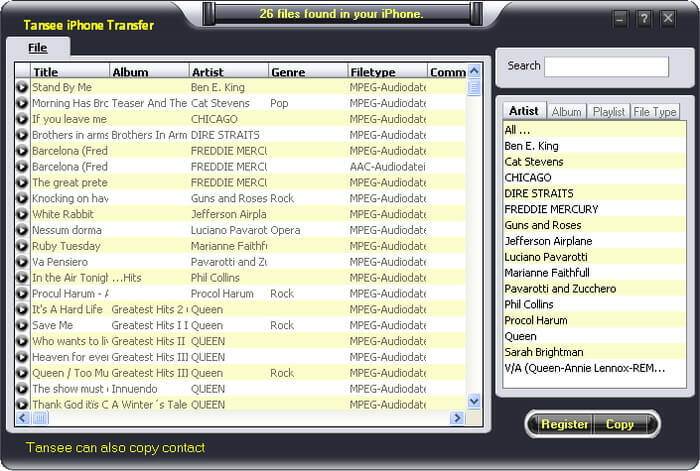 Transfer media files from iDevice to iDevice or directly to the computer. Synchronize all type of files in Computer and transfer to iTunes. Arrange the backup to the computer for all type of files. Add and extract media files to manage ranks for top favorites. Create and delete photo albums and ringtones. Yet powerful application for iPhone data Transfer features. It requires iTunes to be installed on the computer. Offer updates to download which does not support to the computer. Xilisoft is smart data synchronizing software for iOS devices. It offers managing backup for your all media files and other components from iPhone to the computer. XiliSoft can be used to transfer data from iPhone to computer and Computer to iPhone as well. It is compatible with all version of operating system and all generations of iPhone and iPad. Here are the key features of XiliSoft iPhone Transfer. 1.Backup and restore all iPhone files to Computer. 2.Transfer data from computer to the iOS device. 3.Offers to synchronize for all media files. 4.Manage and arrange all library items. Find iPhone files as any external files. Provide device Info as generation, touch system and more. Offer transfer feature with WI-FI connection and without cable connectivity. It can transfer only 10 files in one time. Tansee is software for transferring data from iPhone to Computer. It includes various file types such as Audio, Video, Images, Memos and Podcasts. It is compatible with all Windows generations. They have active customer supports teams which are divided into two groups. They promise to reply to any query within 24 hours. 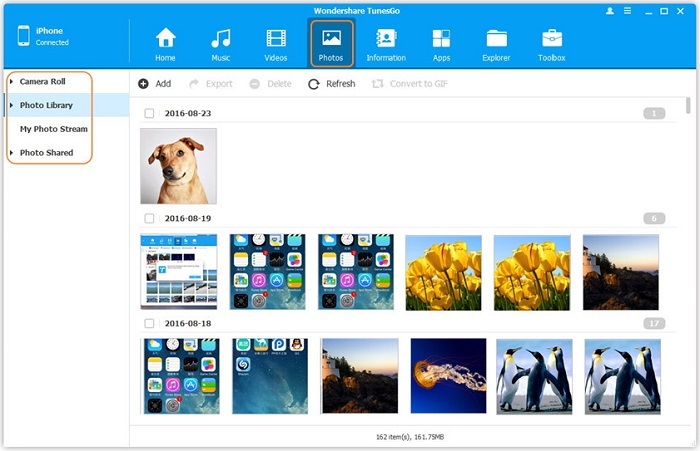 Here are some key features offers in Tansee iPhone Transfer software. How to Transfer Old iPhone to New iPhone Xs/Xr/Xs Max?